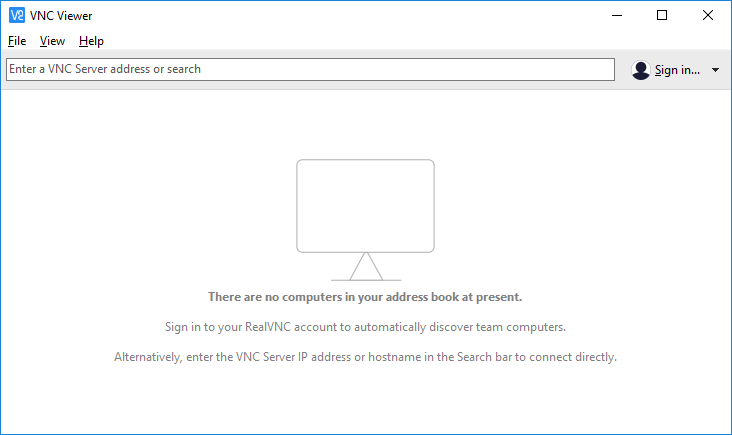 VNC Viewer is used to remote control RealVNC and VNC Connect hosts. choco://vnc-viewer To use choco:// protocol URLs, install (unofficial) choco:// Protocol support ___ Make sure you’ve downloaded VNC Connect to the computer you want to control. VNC Viewer is used to remote control RealVNC and VNC Connect hosts. SOCIAL MEDIA: Facebook | Twitter | Linkedin | YouTube VNC SERVER SOFTWARE: VNC-Connect VERSIONS ON OTHER PLATFORMS: Android App | iOS App | Chrome Extension | macOS Client |Linux Client PACKAGE NOTES ___ Click here to Patreon-ize the package maintainer.